The Israeli occupation forces (IOF) at dawn Saturday re-arrested the parents of the Palestinian youth Ashraf Na’alweh, who is accused of carrying out a shooting attack a few days ago in Burqan settlement. Local sources told the PIC reporter that the IOF raided Na’alweh’s family house in Shweika town in Tulkarem and arrested his father Waleed Na’alweh and his mother Wafaa Mahdawi. 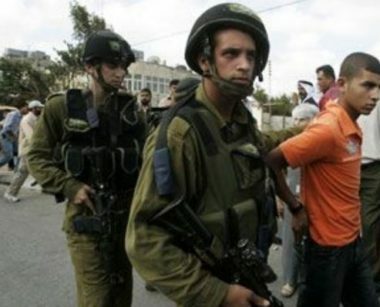 The IOF further arrested Ghassan Mahdawi, Khaled Msameh, and Nayef Raja, searched dozens of Palestinian houses and shops, and interrogated Palestinian citizens. Palestinian lawmaker Khaled Tafesh has called on the Palestinian Authority (PA) leadership to provide protection for its citizens in the West Bank against the systematic crimes and violations they are exposed to at the hands of Jewish settlers. 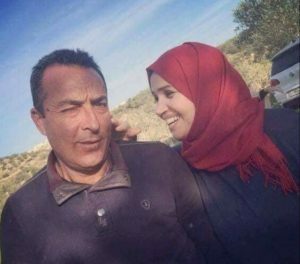 In a statement, MP Tafesh affirmed that the silence of the PA on Israeli crimes against the Palestinians and its failure to protect its citizens emboldened the settlers in the West Bank to commit their crime against Aisha al-Rabi in Nablus last night. He pointed out that the settlers commit their daily assaults more boldly than ever after they were afraid of just appearing before the Palestinians during the first intifada (uprising). 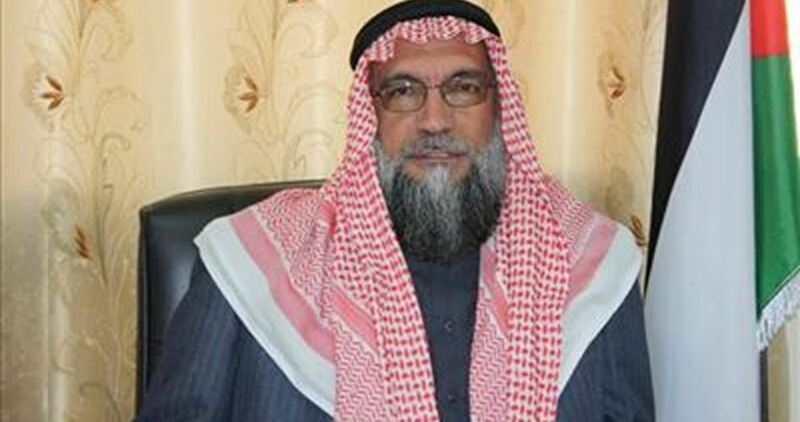 He slammed the PA for being preoccupied with the arrest of honorable people and ex-detainees instead of protecting them. 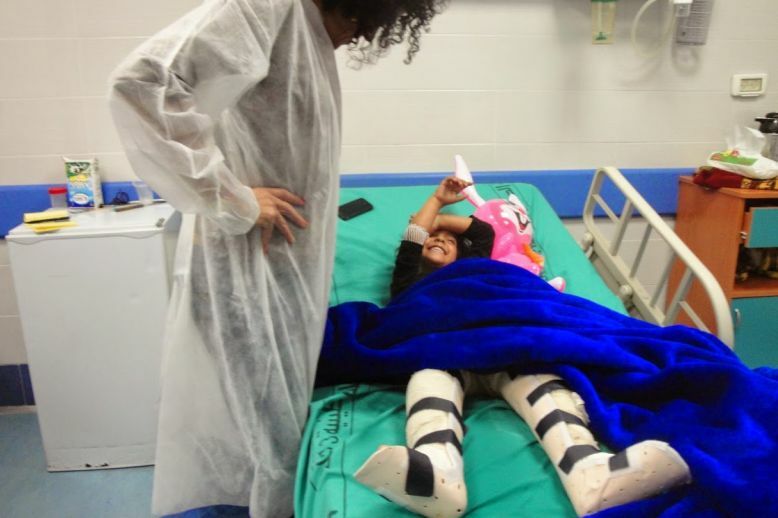 Burns injuries are a prevalent health risk for Palestinians in the West Bank. Whether caused by industrial accidents, house fires or even arson attacks by settlers, they can cause extreme pain and have serious lifelong effects. Medical Aid for Palestinians (MAP) has long recognised these risks and helped, in partnership with the International Medical Education Trust 2000, to establish the first dedicated Burns Units in Palestine in 2009 at Rafidia Hospital in Nablus, in the north of the West Bank. For almost a decade, this centre has been providing high-quality care to burns patients – including emergency treatment and surgery, inpatient care, pain management and physiotherapy. But for burns patients from elsewhere in the occupied West Bank, living amid a network of checkpoints and roadblocks, it could often take many hours to reach the Burns Unit in the north. Every delay increases the chance of infection, sepsis and other fatal complications, putting the lives and wellbeing of many burns patients at risk. That is why, working in partnership with the Welfare Association and the Palestinian Ministry of Health (MoH), MAP has also helped to establish a new Burns Unit in Alia Hospital in the city of Hebron, which opened last summer. This new unit makes it much easier for patients in the southern West Bank to access timely, high-quality care with fewer health-endangering delays. The Unit serves a population of about 850,000 Palestinians. The recovery from severe burns injuries can take a long time, and the outcomes for patients depend on both their initial treatment and quality of their long-term care. The roles played by surgeons and nurses in this process is vital, helping to minimise the pain, scarring and long term impact of the injury. Specialist burns care training, including visits by international, muliti-disciplinary teams, is a key part of MAP’s programme to improve the quality of care received by burns patients. This summer, working in partnership with Interburns, a global network of burns care professionals, MAP supported a three-day training at Rafidia Hospital for ten surgeons and nurses working at the two West Bank Burns Units. The training included a wound management workshop, developing the health workers ability to categorise burns injuries according to the depth of tissue damage. They also discussed burn wound pathophysiology (the management required by different types of burns injuries), wound healing processes and how to prevent and control infections. The workshop included a practical element, with the medics practicing to apply various dressings. The health workers were also trained on scar management, including how to assess scars and what rehabilitation measures are required. Throughout the training, the medics discussed how they were going to implement and apply the new skills and techniques to improve burns care services at their hospitals. The participants were enthusiastic about the course, reflecting that programme provided an important foundation in burns care and they looked forward to building this knowledge at further, advanced trainings. “The training was very informative especially that new topics were addressed during the training,” said Hiba Sharawi, a nurse from Alia Hospital. MAP and Interburns would like to thank the MoH, in particular Dr. Anas Abu Safa and Dr. Walid Zalloum, for their help in facilitating the training. MAP would also like to thank the Interburns team: Tom Potokar, Renate Pfann, and Ioannis Goutos – for their time and energy, helping to develop burn care in Palestine. The Palestinian Union of Social Workers and Psychologists has issued a formal statement earlier this week condemning the decision of the International Association for Relational Psychoanalysis and Psychotherapy (IARPP) to hold its 2019 annual conference in Israel. In December 2017, an international group of mental health clinicians requested that the IARPP reconsider that plan, but IARPP refused. In January 2018, three organizations, the USA-Palestine Mental Health Network, the UK-Palestine Mental Health Network, and Jewish Voice for Peace then launched a petition signed by 1400 mental health professionals worldwide protesting the IARPP plan to meet in Israel. There were subsequently two other petitions in protest of the IARPP decision to meet in Israel: one signed by a group of members of the Israeli organization Psychoactive and another signed by a group of Palestinian mental health clinicians who are citizens of Israel. We believe that holding this conference and participating in it only lends legitimacy to the occupation and its innumerable violations of human rights. Participating in this conference gives implicit support to Israeli policies that violate the principles of social work and psychological practice—principles based on freedom, justice, dignity, and human rights. Moreover, participation in this conference by Palestinian clinicians will be used to undermine the efforts of those who protest the violations of human rights by Israel and to discredit the cultural boycott of Israel. Participation in this conference will be exploited to weaken the friendship between Palestine and its international supporters who seek to isolate Israel on account of its human rights violations. The Israeli branch of IARPP is well aware that holding conferences, presentations, concerts, academic visits, and cultural scientific exchanges in Israel imply acceptance of the status quo. The cultural boycott of Israel clearly articulates that organizing such events in Israel lends Israel political support and promotes its policies on the world stage. It is painfully ironic to see that Israel has been chosen as the venue for an international conference focusing on the in-depth study of human relationships as an aspect of mental health. Our concern is to combat the occupation in all of its manifestations—first as human beings, and in addition as mental health practitioners committed to human values. We are profoundly aware of the importance of these values to the well being of children, families, and communities. Recognizing the impact of violence on individual health and collective well-being, we feel an additional responsibility to communicate our voices and to highlight the moral issue of our responsibility, as mental health workers, to study the context in which we treat our patients. We understand very well the impact on mental health of oppression, political struggle, economic constraints, and war. We see the therapist as having a duty to address these aspects of the environment in which the patient lives. We, therefore, appeal to our friends all over the world—whether they be individuals, federations, unions, or institutions –not to participate in the IARPP meeting and instead to condemn it. The leader of Hamas Ismail Haniyeh said on Friday that his movement is working with regional and international players to reach a ceasefire with Israel. In a speech delivered at the Visitors of the Holy City of Jerusalem Conference held in Istanbul, Haniyeh explained: “Currently, we work with different parties such as Qatar, Egypt and the UN to put forward some understandings in a bid to reach a ceasefire with the Israeli occupation”. Haniyeh also reiterated that his movement would not pay any “political prices” for the ceasefire, stressing that any deal would not be at the expense of Palestinian unity. He added that Hamas would never make any concessions at the expense of Palestinian rights, including the right of the Palestinian people to resist the illegal Israeli occupation. The Hamas leader also emphasised the movement’s rejection to the so-called “Deal of the Century,” urging free people around the world to fight this deal which aims to liquidate the Palestinian issue and deprive the Palestinians of their legitimate rights. He added that one of the objectives of the Great March of Return, which has been ongoing in the besieged Gaza Strip since 30 March, is fighting the Israeli occupation’s targeting of the Palestinian people, especially in Jerusalem. Concluding his speech, Haniyeh stressed that Hamas spares no effort in its attempts to break the crippling Israeli blockade which has been imposed on the Gaza Strip for twelve years, one of which is working towards a ceasefire. The Palestinian Health Ministry has confirmed that Israeli soldiers killed, Friday, seven Palestinians, and injured 252, including 50 children, 10 woman and one journalist, after the army fired dozens of live rounds, in addition to high-velocity gas bombs, during the Great Return March processions, in several parts of the Gaza Strip. Dr. Ashraf al-Qedra, the spokesperson of the Health Ministry in Gaza said the soldiers also targeted a medical post, east of the al-Boreij refugee camp, in central Gaza wounding two medics. Dr. al-Qedra added that 154 of the wounded Palestinians were shot with live Israeli army fire, and were rushed to local hospitals in the Coastal Region. Mohammad Issam Mohammad Abbas, 21, from Sheikh Radwan neighborhood in Gaza. Ahmad Ibrahim Zaki Taweel, 27, from the Nusseirat refugee camp, in central Gaza. Ahmad Ahmad ِAbdullah Abu Na’im, 17, from the Nusseirat refugee camp, in central Gaza. Mohammad Abdul-Hafith Yousef Ismael, 29, from the al-Boreij refugee camp, in central Gaza. Afifi Mahmoud Ata Afifi, 18, from Gaza city. Abdullah Barham Suleiman ad-Daghma, 25, from Abasan al-Jadeeda in Khan Younis, in southern Gaza Strip. Tamer Eyad Mahmoud Abu ‘Armana, 22, from Rafah, in southern Gaza Strip. It is worth mentioning that Abdullah has two bothers who were killed by the Israeli army; Suleiman was killed in 2005, while Bassam was killed in 2011. 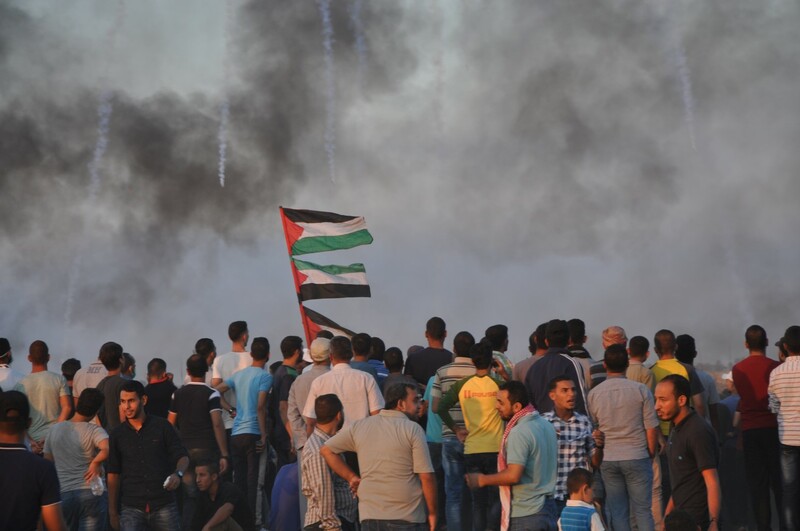 Media sources in Gaza said the soldiers fired dozens of live rounds directly at the protesters along the eastern border area of the Gaza Strip. The Israeli army claimed that some protesters placed a bomb on the perimeter fence, and detonated it, before twenty protesters cross the fence, and the soldiers opened fire at them, killing three who approached a sniper post. Other protesters took the bodies of the three Palestinians, and returned to the Gaza Strip. The army did not report any injuries among its soldiers. On Friday morning, Israeli sources said firefighters extinguished ten blazes caused by flammable balloons, in lands in Israeli settlements across the perimeter fence. Since the weekly ‘March of Return’ border demonstrations began on March 30th of this year, 204 Palestinians have been killed and more than 22,000 wounded by Israeli forces, who regularly fire indiscriminately on the protesters. More than 4,000 of the wounded were hit with live ammunition fired by Israeli soldiers toward the demonstrators. An estimated 14,000 protesters gathered along the Gaza-Israel border Friday at a number of different sites, where they were attacked by Israeli soldiers stationed at military bases on the border who fired live ammunition, killing seven and wounding at least 140. At least 85 of the wounded were hit with live ammunition. The five victims identified so far are Ahmad Ibrahim Zaki al-Taweel (27), Mohammad Abdulhafid Youssef Ismail (29), Ahmad Ahmad Abdallah Abu Naeem (17), Abdallah Barham Ibrahim Suleiman al-Daghma (25) and Afifi Mahmoud Atta Afifi (18). The other two Palestinian protesters who were killed have not yet been identified. According to the Palestinian Ministry of Health, four of those killed were participating in a protest east of Al-Boreij, in the central part of the Gaza Strip. One was killed east of Gaza City, and a sixth was killed near Rafah, in southern Gaza. The Israeli military claimed that those killed near al-Boreij had been spotted climbing the border fence, and tried to set the fence on fire. No evidence was presented to back this claim, however. 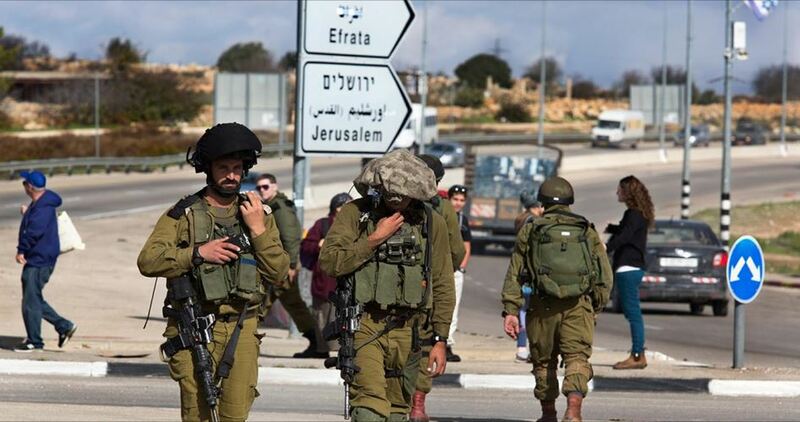 Israeli soldiers invaded, on Saturday at dawn, Beit Fajjar town, south of the West Bank city of Bethlehem, and abducted one Palestinian. 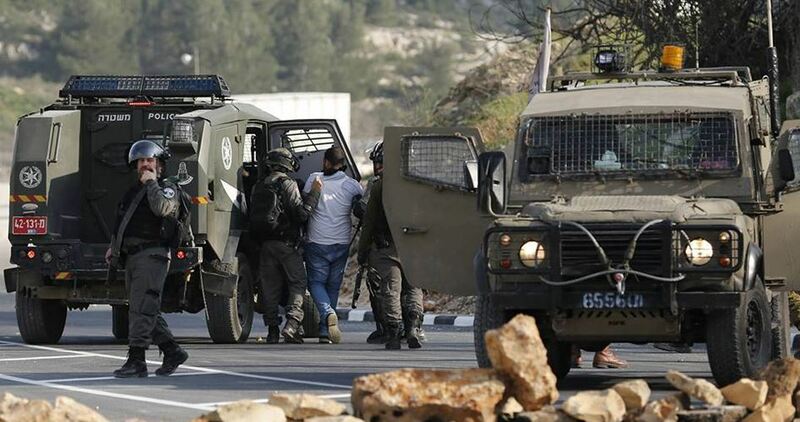 The Bethlehem office of the Palestinian Prisoners’ Society (PPS) said several armored military jeeps invaded Beit Fajjar, before the soldiers stormed and violently searched homes. It added that the soldiers abducted Mohammad Ziad Thawabta, 30, from his home, after interrogating him and his family. In related news, the soldiers invaded Shoshahleh village, in the al-Khader town south of Bethlehem, and inspected ID cards of a few Palestinians, in addition to writing down their phone numbers. It is worth mentioning that, several days ago, a number of illegal Israeli colonialist settlers invaded Shoshahla village, photographed homes and a mosque, and told the residents that they intended to pave a new bypass road, as part of a colonialist plan, which links with the main Hebron-Jerusalem road, and extends to the mountaintop where Shoshahleh, a very small village, is located. In related news, the soldiers abducted seven Palestinians, including the parents of the Palestinian who is believed to be behind the fatal shooting of two Israelis to death in an illegal colony in the West Bank, after the army invaded and searched dozens of homes. 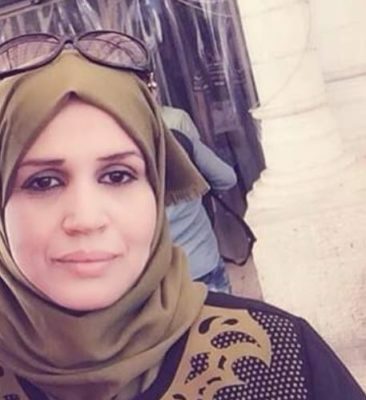 Aisha Mohammed Talal al-Rabi, 47, was riding in a car with her husband near the Za’tara roadblock, south of Nablus, in the northern part of the West Bank, when a group of Israeli settlers came onto the road and began throwing rocks at their car. The slain woman was from Bidya town, northwest of Salfit. The Israeli colonial settlers threw a number of large rocks, breaking the windshield of the car. They then continued to throw rocks, according to local sources, hitting the couple multiple times in the head and upper body. Aisha died of blunt force trauma to the head, caused by a rock that was thrown at her head by the settlers.